The Creighton men's basketball team pulled away from Butler late, 75-61, in the annual Pink Out game. OMAHA, Neb. 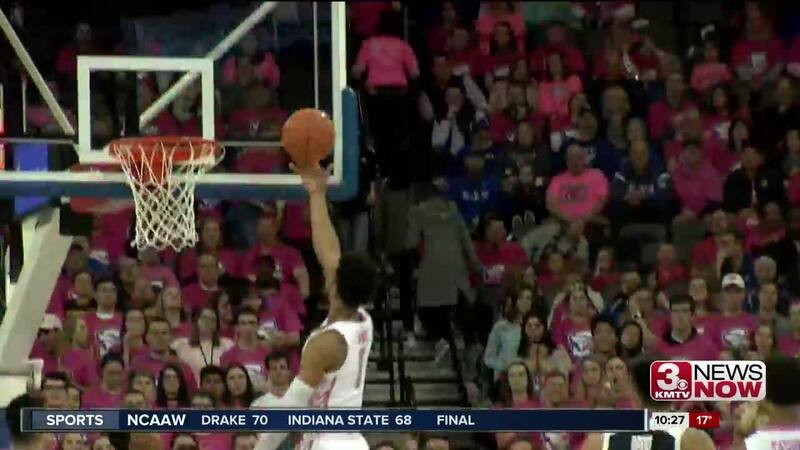 (KMTV) — The Creighton men's basketball team pulled away late to beat Butler, 75-61, on Pink Out night. Ty-Shon Alexander led the way for the Bluejays with 19 points. Martin Krempelj scored 16 points, while Davion Mintz added 14. CU improved to 12-8 overall , 3-4 in the BIG EAST. The Jays host St. John's on Wednesday starting at 7:30 p.m. on FS1.